No. of vacancies for Assistant General Manager, Senior Manager, Chief manager vacancies in different departments are 145 and those names are given below. Applicants must complete bachelor degree/ ICWA/ PG with minimum experience in their relevant domain. Candidates will be selected through preliminary screening test and interview. Indian Bank receives applications through online mode from 10th April 2018 to 02nd May 2018. 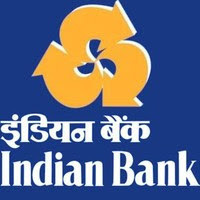 Interested aspirants may Click Here: http://www.indianbank.in/career.php to apply.